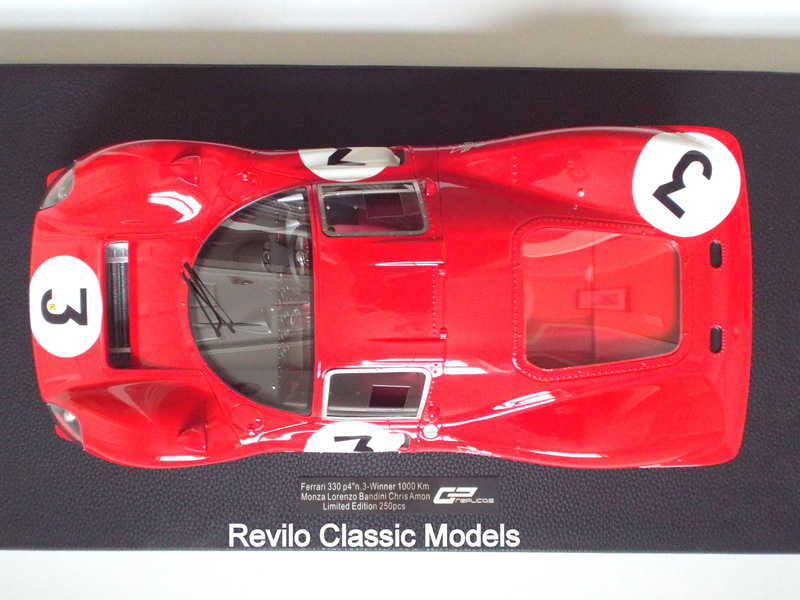 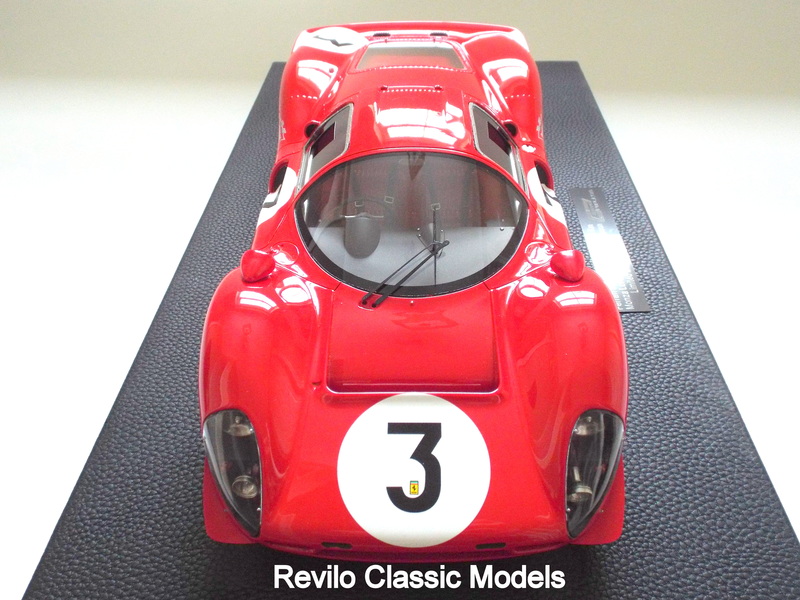 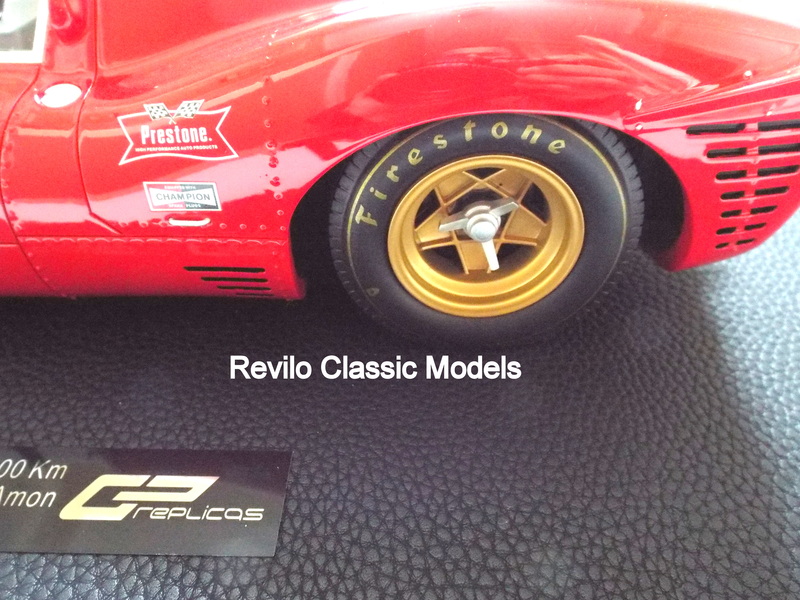 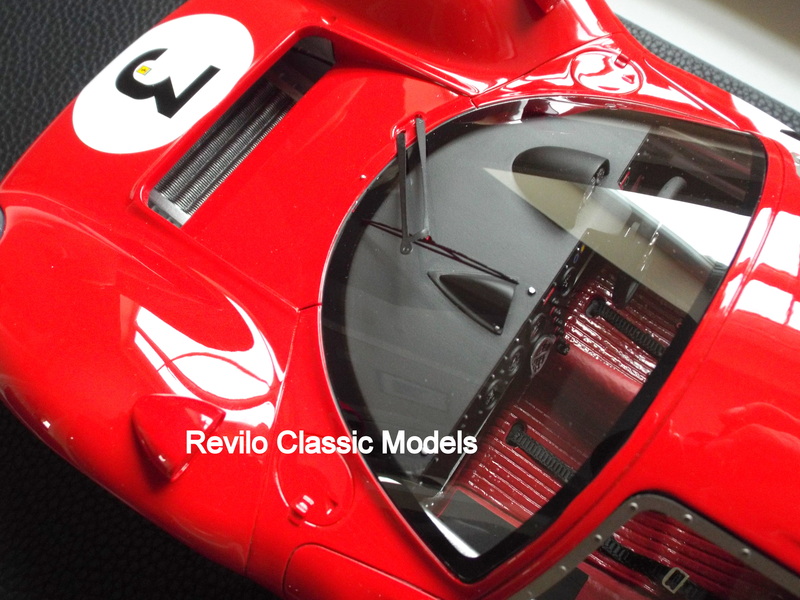 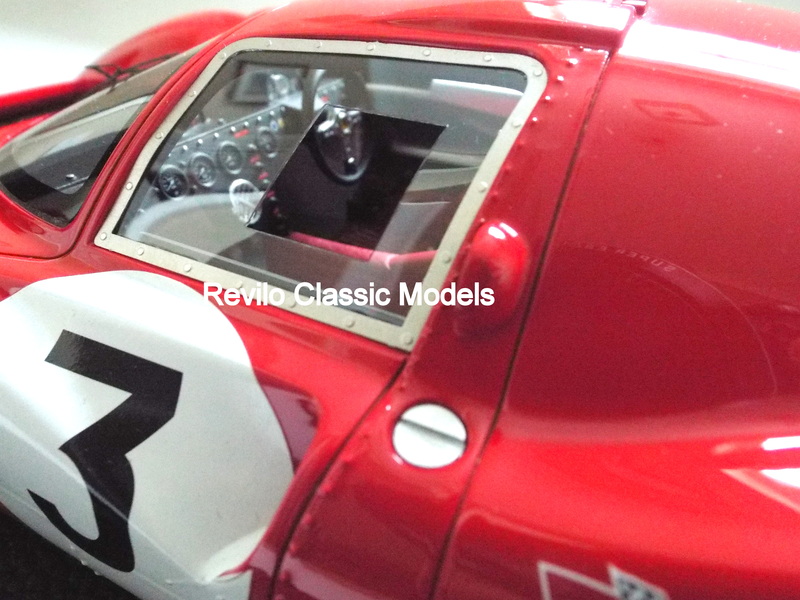 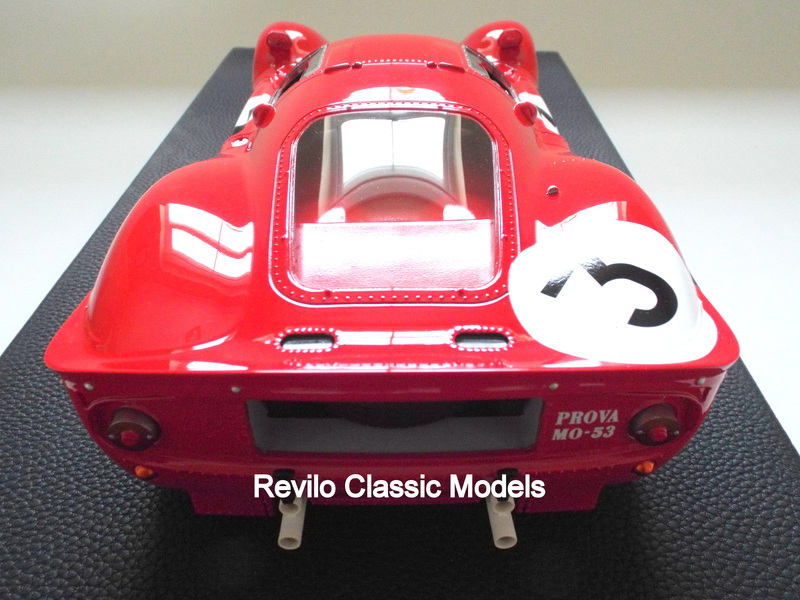 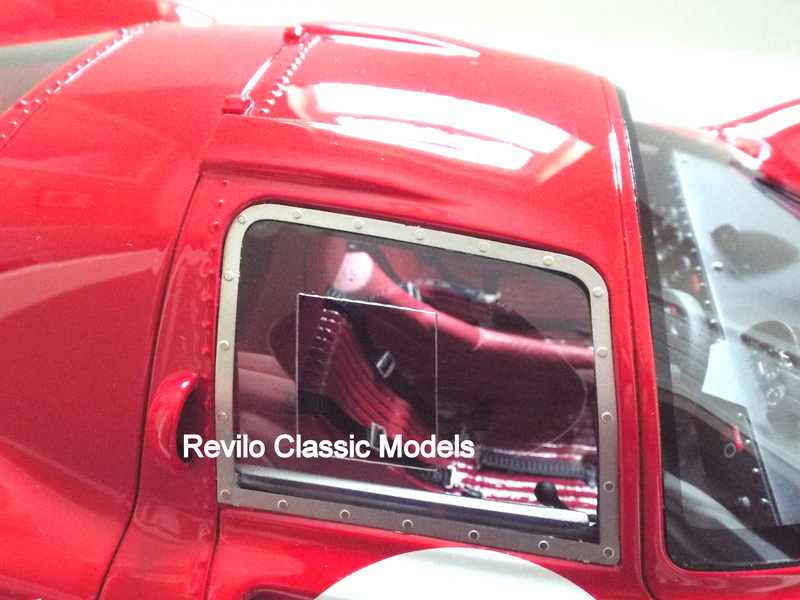 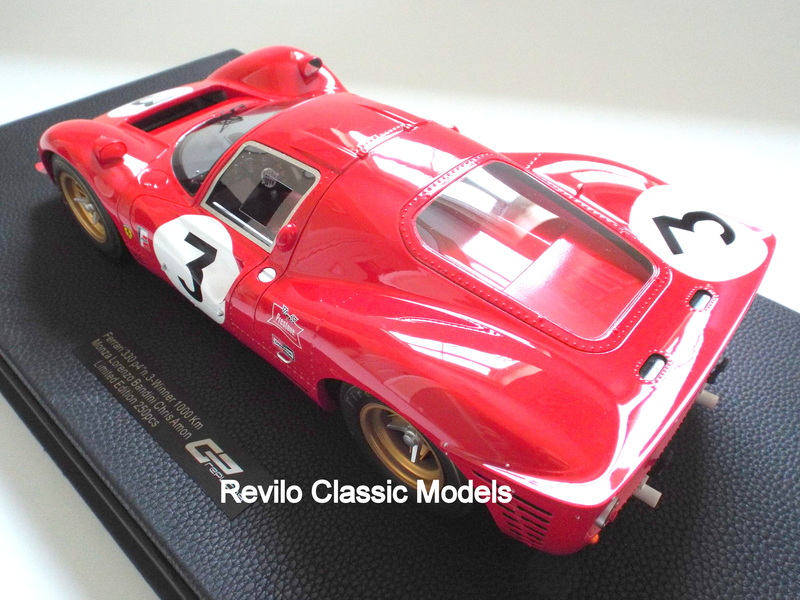 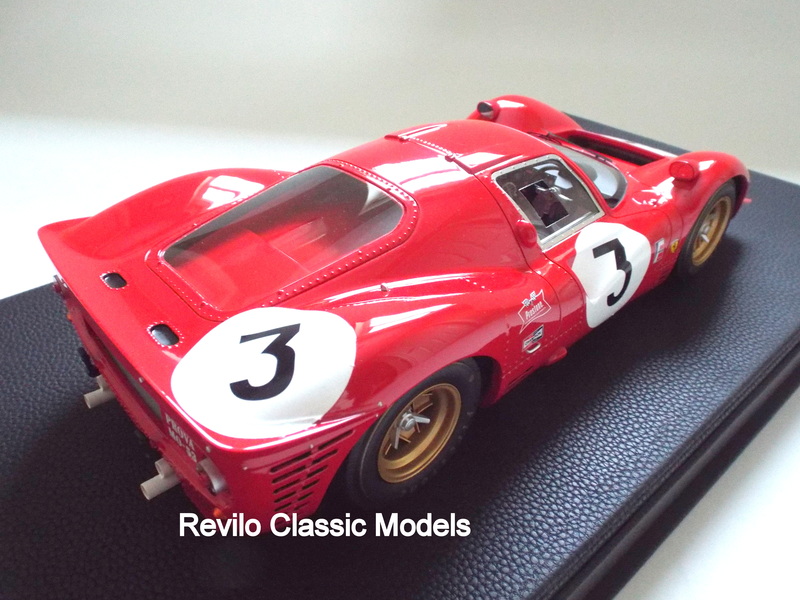 Ferrari 330 P4 1:12 scale winner Monza 1000kms 1967 Limited Edition of 500 by GP Replicas. 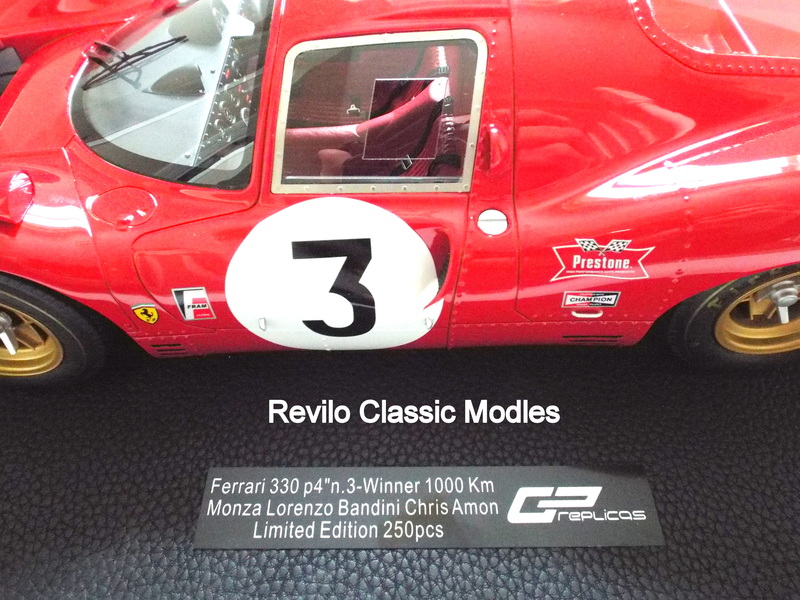 The Ferrari 330 P4 won the race driven by Lorenzo Bandini and Chris Amon in almost an hour less than the winning Ferrari 330 P3, the previous year. 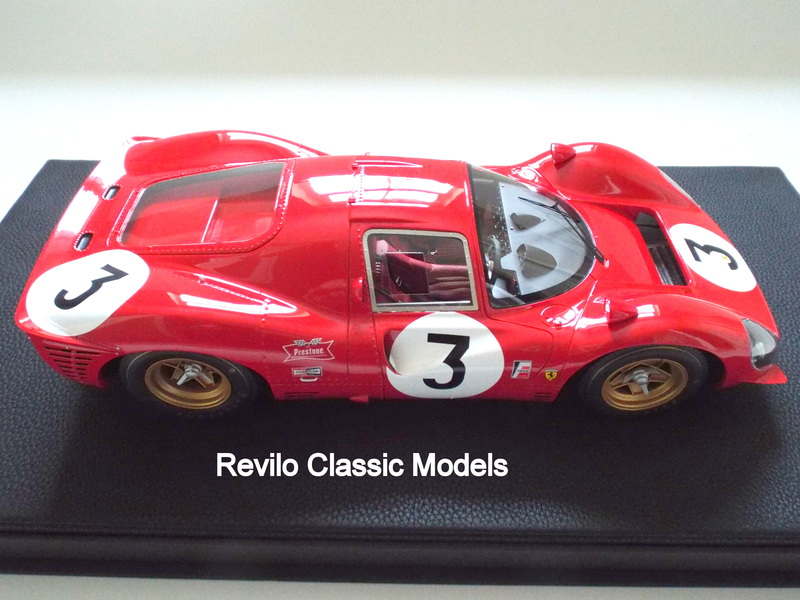 The model comes mounted on a leatherette base with a plaque detailing the model. 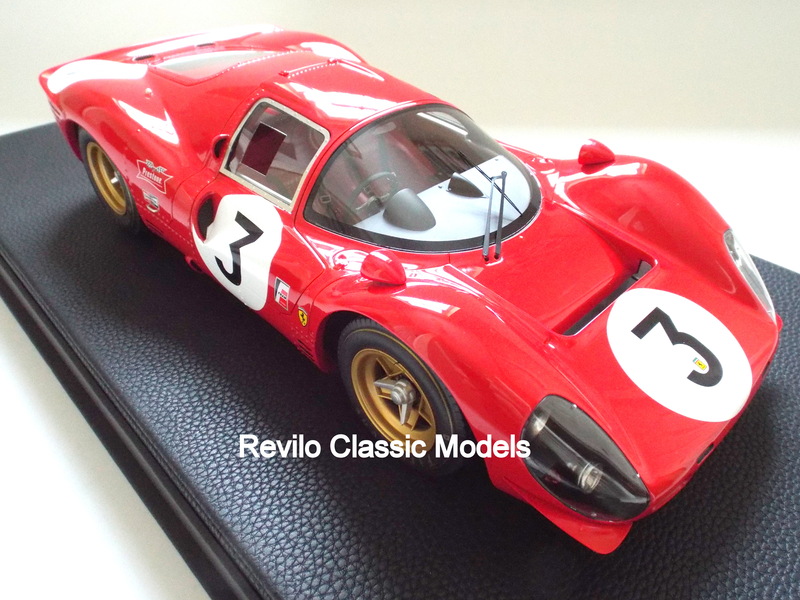 It has great attention to detail and paint finish for this price and scale. 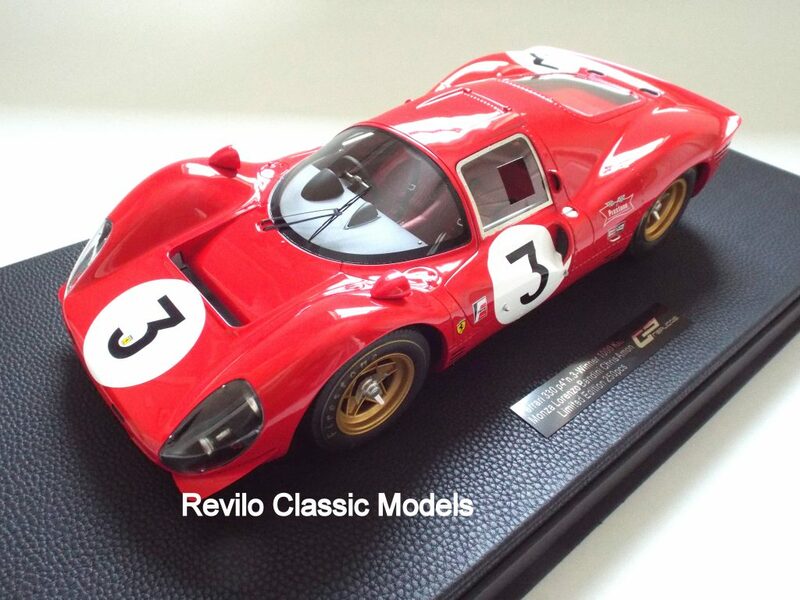 The model measures around 40cms in length plus the base, it comes with a black presentation box and is brand new.